Dr. Ramesh Kr. Mehta founded the Firm in the year 2005. 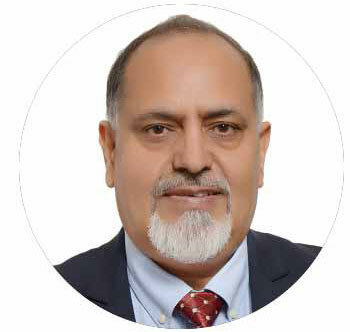 With about 34 years of experience in IPR and R&D, he has advised and developed intellectual property consultancy projects in companies, government organizations & institutions. He has been handling and supervising patent, design, trademark and copyright matters. His areas of expertise include drafting, filing, prosecuting and litigating patent applications in various fields of science and engineering; and negotiations and drafting of license and technology transfer agreements. Additional expertise includes handling and supervising design, trademark and copyright applications, and counseling and opinions in a wide range of high technology fields. Additionally, he was also a nominated Expert Member of Patents Committee of Department of Biotechnology, Ministry of Science & Technology, and IP Syllabus and Copyright Committees of Ministry of HRD, Government of India. In 2012, he was also a visiting faculty at National Institute of Intellectual Property Management, Nagpur for training of Examiners of Patents. Indian Patent Office [IPO] as Examiner of Patents & Designs.